Satan's path is one of manifestation. Have you felt His call? If yes, then expect Him to demand a lot from you. Since the beginning, Satan has encouraged humankind to become something greater. In all the religions, legends, beliefs, myths, and stories surrounding Satan throughout the ages, He has always been the bringer of enlightenment in some form or another. The symbol is different in each story, but whether it is a fruit or fire, the message is the same. When He approached the first woman, He invited her to KNOW and then to BECOME. The first step she had to take was to accept His invitation, and then allow her mind to be opened so she would realize what it meant to be human. The furtherance of her development was up to her. Satan wants the same for you- to realize that you are an INDIVIDUAL, and to celebrate that uniqueness. This is one of the things He fought for. Being an adversary, there was always a great sacrifice on Satan's part, but He was willing to suffer so humankind could advance as a species. Satan's wisdom has conquered, despite the resistance of some who have refused to embrace His message, and if it was not for Him, the world would not have such things as medicine, agriculture, mathematics, music, and writing. 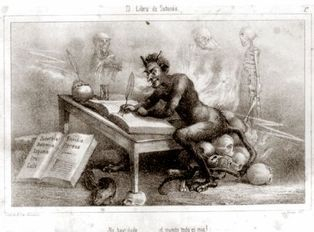 He has been called a hero, a champion of freedom and knowledge, and in his poem called The Litanies of Satan, Charles Baudelaire called Him 'the familiar healer of human distress.' Satanists can echo that statement. The other great teachers of the human race have been the Demons. They taught us knowledge that was unknown and forbidden from the beginning of time. It is widely believed that divination and magick are gifts that they have given us, and rightly so, but they have given us so much more. Demonic wisdom is everywhere, and it is important to be open to what the Demons might want to teach you. They have channelled through many people throughout the ages, and famous people have spoken of having heard words, ideas, and musical notes being spoken into their mind by someone unseen. As a result, we have Demonic whisperings in poetry, song, philosophy, and literature, and just imagine what mysteries are hidden in the paintings created throughout history because a Demon directed the artist's strokes. Even the enemies of Satan and the Demons admit, whether they want to or not, that they are the originators of technology, philosophy, music, and science. For the Satanist, the quest for knowledge should be as strong as their desire for basic needs. As the enemy of complacency, Satan expects His followers to be in a state of constant learning and to put what they learn into practice. It is great to read a book, but if the only thing you do is put it back on the shelf then it will have no purpose for you. Satan might lead you to study many things, and the reason may not be given at the present time, but it might be to prepare you for something further along His path. So if you feel Satan nudging you to take a class or to read a particular book, do it. It might not have anything to do with Satan, but He can and will, speak through anything, often making a sentence stand out in order to get a message across. At a bookstore a few years ago, I was disappointed that I could not find anything on Satanism, but then I heard “There is a piece of me in everything here.” Perception changes after something like that. A question that is often asked is, what books should I read in regards to Satan? The answer—everything you can get your hands on. Anyone studying Satanism will notice that the books written 'about' Satanism can be divided into two categories- those by Satanists and those by non-Satanists. Sadly, in the occult section of the local bookstore or online, the majority of books about Satanism are written by Christians—nothing but money making tools on their 'spiritual warfare' bandwagon. But unlike believers of other religions, primarily the Abrahamic faiths, Satanists are encouraged to learn about other spiritual paths. Read the Qur'an and the Bible to know what they say about Satan, yet having said this, there is a huge difference between knowing what the Abrahamic religions say and actually believing it. Sadly, there are some Satanists who do believe. Although Satanism does not have a rule book given by Satan, it does have texts considered sacred or inspired, and these should be sought out and read. The difference between these and the 'holy' texts of other religions, is that Satanism doesn't have a leader who demands that we obey each word and to believe THEIR interpretation. 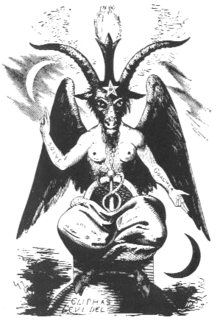 Satanists are to ask Satan Himself for wisdom and, therefore, be open to what He has to teach from the texts. To humanity as a whole He has given a general message, but to each of His chosen ones He might have something particular to say. Satan is quite personal, and those who have a connection with Him understand this very well. The deepest wisdom does not come from the books that you read. Yes, they may teach how to perform certain types of magick or how to astral travel—but the real wisdom comes when you put those things into practice. A teacher can lead you so far, and then you have to go the rest of the way alone and actually commune with Satan and the Demons yourself. On this path, there is no turning back unless Satan says that you need to re-learn something. You have been called to something greater than the mundane way of life; not just one day of the week, but each and every day. You must work at it, which takes study and practice. Reach out and take the blade that Satan offers. Cut the ties from everything that hinders the Black Flame from growing within you. Whatever form His message takes, it should be clear that Satan and the Demons want manifestation. They don't teach you so that their wisdom will remain concealed in your mind or for you to be stagnant. If they have chosen to share their knowledge with you, you will be required to descend to the depths of yourself. You must then go further still to reach the treasure at the bottom. Change and chaos must be experienced in order for you to rise and become what you were meant to be. You must fulfil your purpose and manifest your true Will. As Satan's chosen, your Will should be to manifest Satan's wisdom to the world. For too long, the lackeys of the Abrahamic religions have been telling lies about Satan, and the masses believe them without question. Become a vessel for Satan and let Him channel through you so that the truth will be revealed. 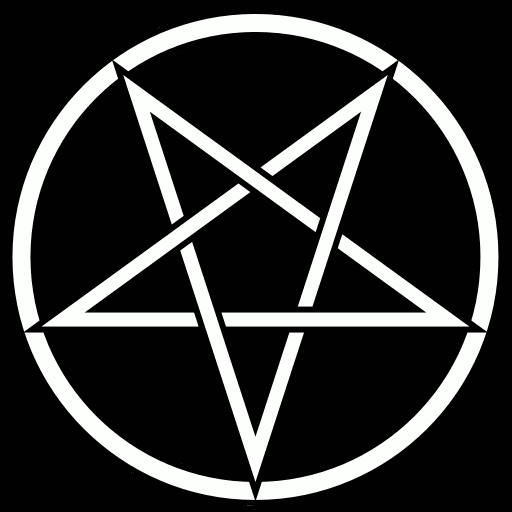 Books and websites about Satanism will not be available for the next generation if the Satanists of today don't write them. Hymns to Satan can't be sung if Satanists don't compose them. Art has always had a huge part in defining culture, but if Satanic artists don't allow Satan's essence to flow through their creation, the world will not taste the mind-altering gnosis that only Satan can bestow. Discover your talents and develop them as much as you are able and use them to make a difference for Satanism. Make the most out of every opportunity, and don't let fear or procrastination keep you back from achieving your goals. If Satan has called you to carry out a task, push yourself until it is done. You can do it, don't let anyone tell you that you can't. Life only allows you so many days, so achieve all you can in the time that you have. In the drop down menu are pages of resources. 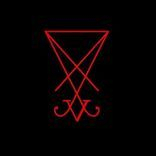 The links page has various sites that I recommend on Satanism, Demonolatry, the Occult, Magick, and the Draconian, Luciferian, Anti-Cosmic, and Setian beliefs. Also included, is a list of occult publishers where you can purchase many of the books that are listed. Both pages will be updated with new additions as time goes on.